Check out Tobi's Seeing Double O-Ring Belt It's double the trouble in the Seeing Double Black O-Ring Belt. 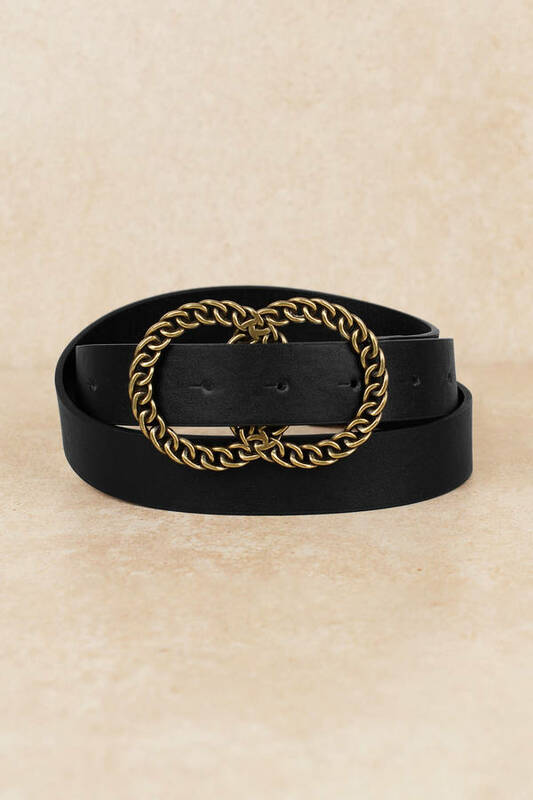 This chain ring belt features a vegan leather strap with a double o-ring chain buckle--it's all the edge you'll need in a 'fit. This vegan belt looks incredible with high waisted denim and a bodysuit. It's double the trouble in the Seeing Double Black O-Ring Belt. This chain ring belt features a vegan leather strap with a double o-ring chain buckle--it's all the edge you'll need in a 'fit. 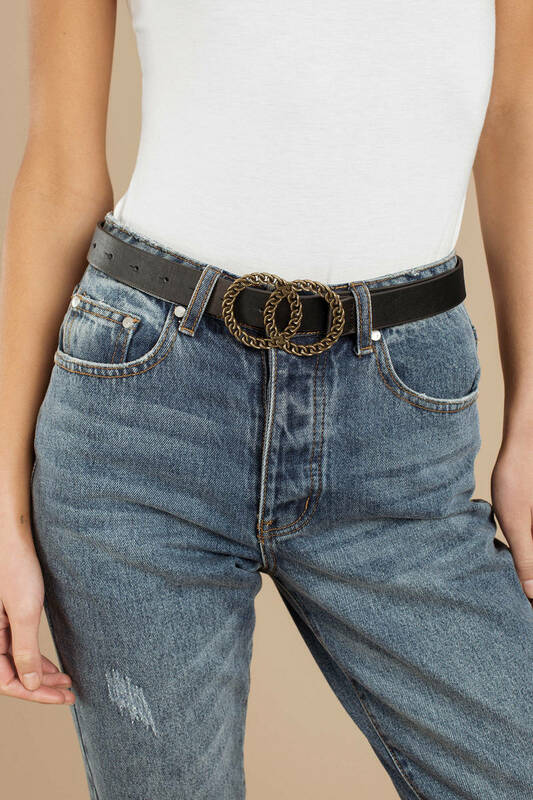 This vegan belt looks incredible with high waisted denim and a bodysuit.